Trees have an energy. In fact, tree hugging has become a popular practice because of the countless benefits from their energies. But do they have feelings? They do, according to Peter Wohlleben, a forester at Eifel Mountains in West Germany. And not just feelings, they communicate with each other constantly through what some call the “Wood Wide Web” or Tree Internet. Like most of us, Peter used to look at tress as nothing more than a good source of lumber. They plant trees, cut them, then plant young trees again. Yet, after having some conversations with tourists, Peter’s view of the forest changed. He started to see trees as they are and even noticed how they “feel”. His observations were not mere assumptions. They’re backed by researchers, specifically from the RWTH Aachen University, who conducted studies in the forest he managed. 1. Trees help each other stay alive. Just like a human community, trees help each other to survive. Some trees that might have fallen around five hundred years ago and still live with the aid of the surrounding trees of the same species. The other trees that surround the fallen tree usually pump sugar into its stump to keep it alive. They do it by surrounding their roots at the stump, then pump sugar into it. 2. Trees work together to establish a sustainable ecosystem. It’s quite impossible for a tree to protect itself against the wind and weather when it’s alone. But when they work together, sharing their own food and looking out for each one, they can create an ecosystem where all of them survive and thrive. Together, they can stand against the changes in temperatures, store enough water for the dry season, generate much humidity, and may even withstand floods and strong weather. Trees that grow in this kind of environment have the possibility of growing very old. 3. Trees send out warning signals to other trees. One astonishing study done on the savannah of Africa proved that trees watch each other’s back. When giraffes feed on the umbrella thorn acacia trees, the trees started to pump toxic substances into their leaves, which caused giraffes to move away from them. The animals have to back out a hundred yards before starting to nibble on other trees. It’s because the neighboring trees of the same species got the signal and pumped up toxic substances in their leaves too to prevent the giraffes from eating them. 4. Trees feel pain when insects feed on their leaves. While it may seem natural for insects to feed on leaves of trees, this still hurts a tree. As soon as a caterpillar nibbles on leaves, the tissue surrounding the damaged area changes. Like a hurting human tissue, the leaf tissue also sends out electrical signals that travel at a lower speed than the human tissue does, approximately one third of an inch in a minute. 5. Trees make different choices. The characters of trees are noticed only on the same species that are exposed to the same environmental conditions. This is mostly seen during autumn when trees are supposed to shed their leaves simultaneously. But not all trees do it because each of them decides as to when is the best time to shed their leaves. None of them knows for sure if the winter would be harsh or mild. Hence, some shed leaves earlier while others continue to photosynthesize for two weeks more. 6. Mother trees nurture their young trees. Young trees, specifically the beech trees could grow as high as 18 inches per season. However, their growth is hindered by their mother tree for the reason that, according to the scientists, trees should grow slowly while young to ensure living to old age. The mother trees ensure that the young ones grow slowly by shading the young trees with their enormous crowns that act as a canopy over the forest floor. Only a small amount of sunlight could reach them for photosynthesis, which is enough to keep them alive. One scientist who helped discover the maternal instincts of trees is Dr. Suzanne Simard. Dr. Simard described mother trees to be dominant and have fungal root connections that are widely linked to other trees. Through their root systems, the mother trees establish a constant contact with the baby trees, passing into them sugar and other nutrients. 7. Trees have their own language. A study done by the scientists from the University of Western Australia have registered that roots of grain seedlings cracked at a frequency of 220 Hertz. When exposed to crackling at this frequency, other seedling roots also oriented their tips in that direction. It’s like they naturally understood what this means, like a language that is spoken amongst them. 8. Trees scream when they’re thirsty. Trees complain when they’re thirsty too, just like humans. But because they don’t speak, they scream by creating vibrations through their trunk. According to the scientists at the Swiss Federal Institute for Forest, Snow and Landscape Research, trees scream when there’s an interruption of the flow of water from the roots to the leaves. And this takes place at ultrasonic levels we can’t hear with human ears. 9. 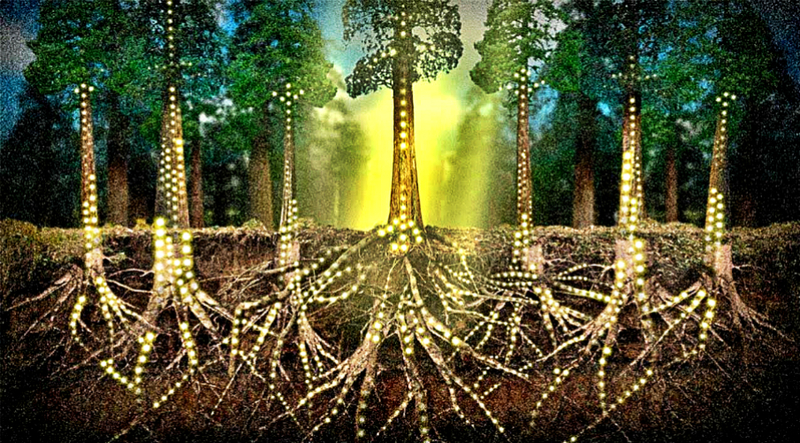 Trees store carbon dioxide. Through their lives, trees store carbon dioxide up to 22 tons in their trunks, branches, and root systems. This shows that trees can play smart and save resources for times when resources are scarce. Some trees do not follow this principle, just like humans. 10. Some trees produce compounds that drive away insects. Mosquitos and other insects couldn’t be seen near Walnut trees because they produce compounds that deter these insects. Other trees have different defensive mechanisms. However, each tree has a smart ways of defending itself from outer danger. 11. Trees have different needs and character. A mature beech tree needs sugar and cellulose that equals to 2 1/2 acre of a wheat field just to grow its trunk. But it’s all worth it since a beech tree can produce at least 30,000 beechnuts every 5 years. Other trees have different needs, and they produce different amounts of fruits. Even trees from same species differ in their needs and production. It’s like each tree is different from another tree just like each person is different in character from another person. 12. Trees have their own so called internet. Trees have created their own way of communication through a web some scientists call “Wood Wide Web” or The Tree Internet. It’s best if you watch the video below to fully understand how trees achieve this communication.